Why won't the birds use my birdhouse? Birdhouses are a fantastic way to add shelter to a bird-friendly backyard, but if no birds are nesting in the houses, then how do you make them come? There can be a wide range of difficulties with birdhouses, but there are also easy ways to fix each problem to make the houses more attractive to nesting birds. If birds aren’t using your houses, check these common problems and solutions to be a better bird landlord. It may be that there are no cavity-nesting birds in your yard. Only certain species of birds will use houses, and if you know which birds those are, you can add feeders, water features, and shelter to make the yard more attractive to those species. As they get more comfortable with your yard, they will start to check out the available nesting sites, including birdhouses. If you’re waiting until spring flowers bloom to put up birdhouses, it may be too late to attract the first nesters. 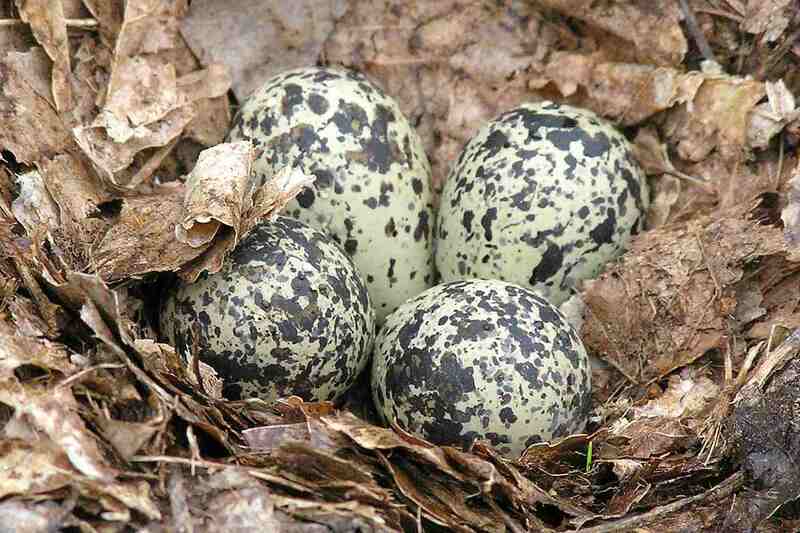 Early-nesting birds, however, may still investigate the house for additional broods later in the season. Putting houses up earlier can help attract the earliest nesting species and ensure the houses are ready for residents. Ideally, have houses ready to go in late winter to be available for every nesting bird. Some bird species can be very particular about their preferred houses, including floor dimensions, house shape, and other details. Finding bird houses that are specially designed for the species you want nesting nearby is the best option for meeting their needs with an appropriate house. Be sure you use houses of the right dimensions and with the proper entrance hole size to suit the birds in your yard. Where you mount a birdhouse is just as critical as the size and shape of the house itself. Some birds will use higher houses, while others prefer houses closer to the ground. Birds nest at different heights and have different preferences for whether the house is mounted on a pole or tree, or if it can be hung. Understanding birds’ preferences can help you position birdhouses properly. Most nesting songbirds will not reuse old nests, though they may reuse a small amount of the nesting material to build a fresh nest. The best option is to clean out birdhouses after every brood has fledged so the house is clean and clear for another pair of nesting birds to use. This also reduces the risk of dangerous contamination from old feces, feather mites, or insect infestations in an old nest. Birds always look for a safe place to raise their nestlings. Adding safety features such as baffles or guards to a birdhouse will help protect brooding birds. Perches should be removed, and the house design should include drainage and ventilation for safety and comfort. 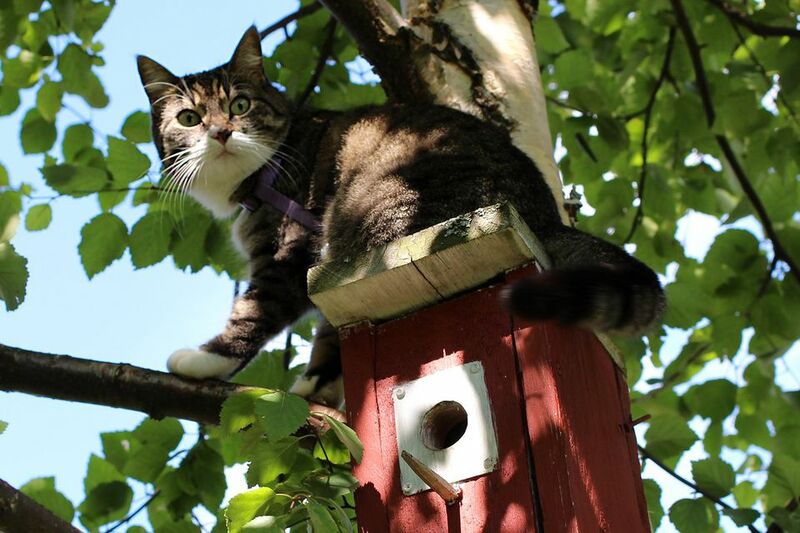 Keep cats indoors and take steps to discourage feral cats and other unwelcome birdhouse predators from your yard. An inappropriate entrance hole can admit larger birds such as house sparrows or European starlings to a birdhouse, crowding out more desirable residents. Larger birds may even kill hatchlings or brooding adults, but a properly sized entrance hole will keep out larger species while admitting other birds. If the hole has gotten bigger over the years, there are easy ways to fix it to keep larger birds from entering. Paint can be toxic to birds, and painting a birdhouse should be done carefully so as not to endanger adults or nestlings. Exterior paint should be camouflaged to help protect the house from predators and other invaders, as well as to help control the interior temperature of the house. Avoid paints with glitter or other quirky accents, and opt for simple, understated designs to appeal to more cautious birds. Many small birds use birdhouses in fall and winter as shelter from poor weather and chilly temperatures. Used as roost boxes, birdhouses that are left up all year can encourage more birds to stay nearby, and the houses will still be useful for nesting birds early in the spring. Houses should still be cleaned in late fall, but they can be left up year-round for birds seeking shelter at any time. Birdhouses with clear back panels can be attached to a quiet window to give a great view of growing hatchlings, but even those houses may not be private enough for some birds. Nesting birds should not be disturbed with flash photography, frequent peeks, or other intrusions that can stress brooding adults and young chicks. It is best to leave the birds alone and rely on more distant observation or online cameras to enjoy their growing families.